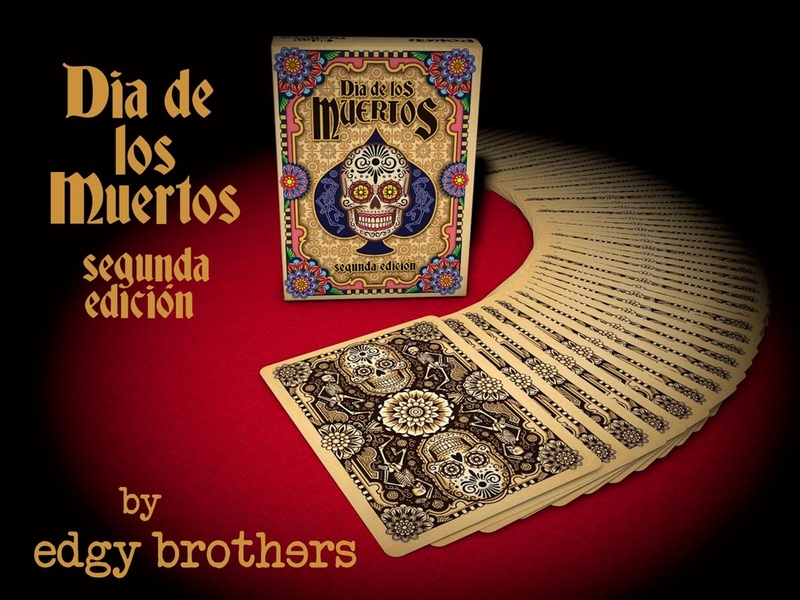 Do you remember the Defunctorum decks created by by Roman Kotiv (NOIR Arts) and inspired by the Day of the Dead? 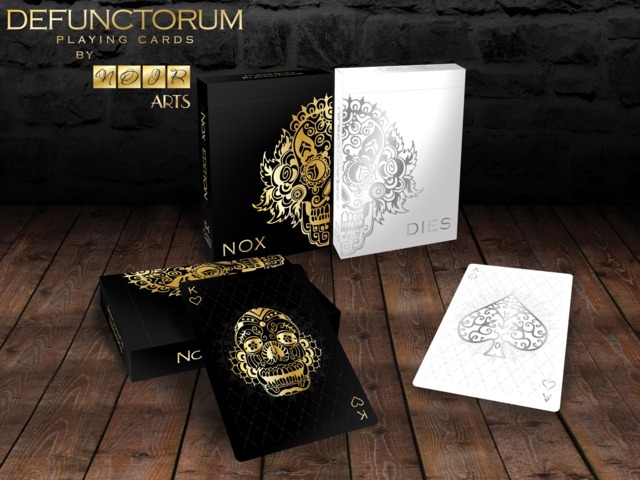 Well, the project was such a success that had a sequel in a second project that offers a new variation of the deck: Defunctorum Cruor. 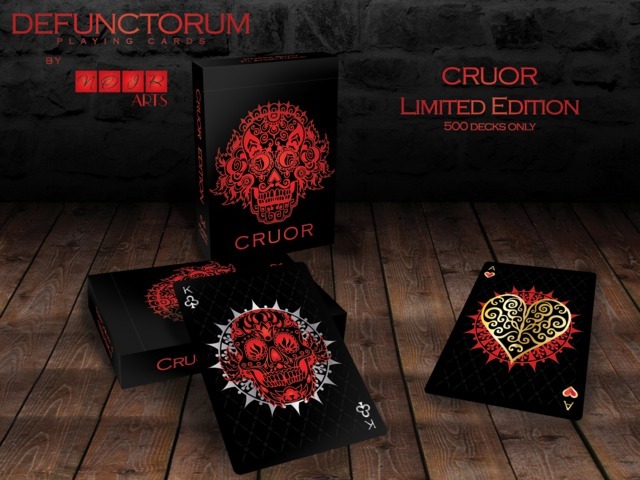 Cruor (Bloody) is the perfect complement to its sisters Nox and Dies. 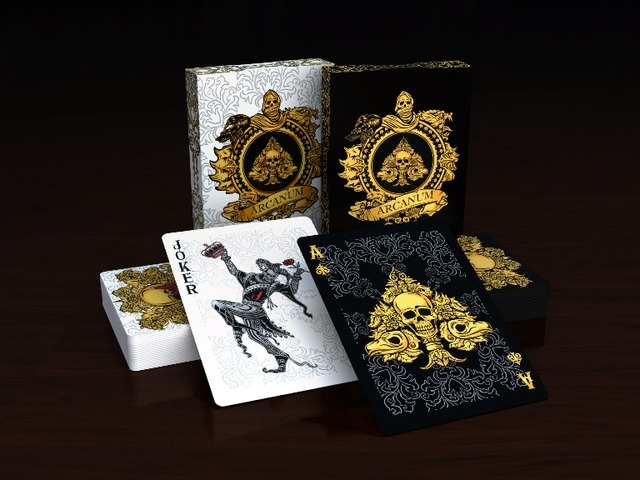 The deck shares their design but uses gold, silver and red metallic inks creating a much more disturbing atmosphere and a very impressive result….